There are so many reasons to make these gluten-free jelly donuts! 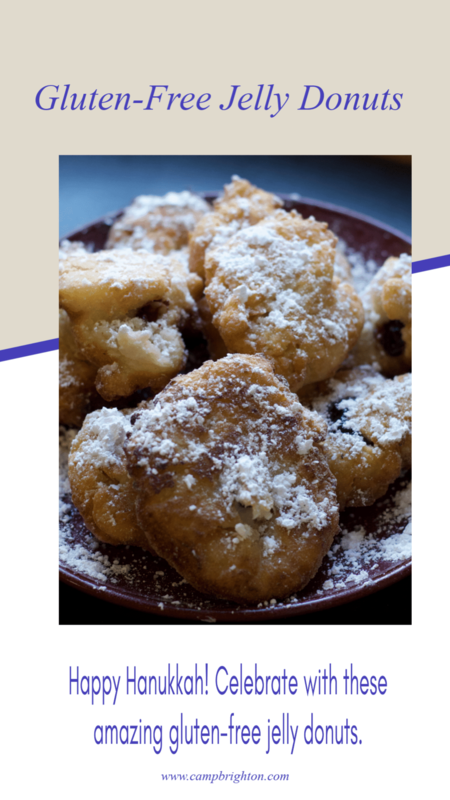 If you are gluten-free, the sight of jelly donuts might make you a little sad but, with just a few ingredients, you can easily make your own. I first made these gluten-free jelly donuts for my friends when a bunch of us gathered together on Christmas Eve – which, for that year, was also the first night of Chanukah. So fun! I was more than happy to provide a gluten-free version of a traditional Chanukah treat. Although it is currently Chanukah now, please don’t think you need any actual holiday excuse to make these gluten-free jelly donuts. Is it the weekend? Are you craving a fun dessert? Make these donuts. These would be such a nice treat for a family brunch! Kids and adults will devour them. 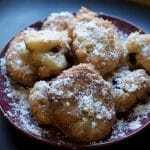 We used one of our favorite local jellies to fill these gluten-free donuts – Garnet Gals Blueberry Jam. Yum. You can use absolutely any jam or jelly you have on hand. Get creative! 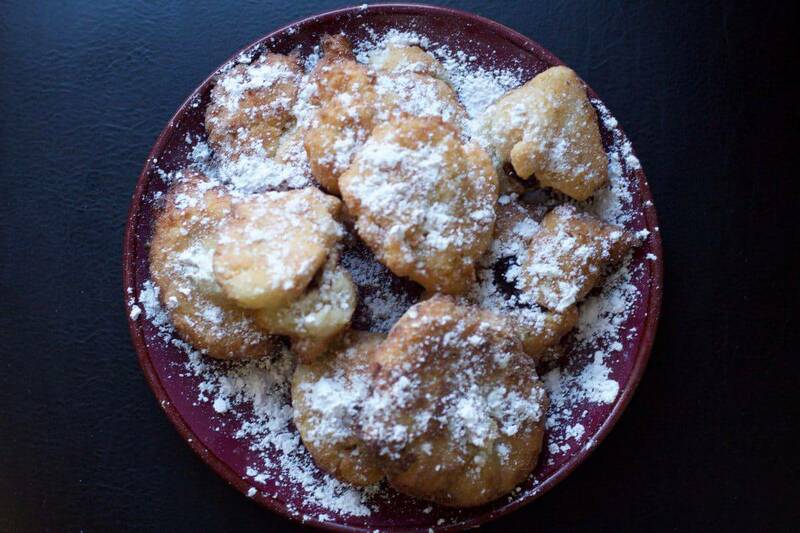 Top them with powdered sugar and you are ready to go. Pro tip … this recipe makes super sticky dough – use extra flour as you go. We used Pamela’s gluten-free bread mix flour for this recipe. These gluten-free jelly donuts are great for the holidays or just for fun! Add milk and water. Stir to combine. Dough will be very sticky. Add more flour as necessary to unstick your fingers. Form into small donut shaped circles. Heat enough canola oil to fry the donuts. When the oil is hot, gently place your donuts into the oil. Allow the donuts to fry for about 2 to 3 minutes. Turn once. Carefully remove donuts from the oil using a slotted spoon. Let cool on paper towels to absorb some of the excess oil. Fill a decorator bag with 3 to 4 tablespoons of your favorite jelly. Gently poke a hole in the donut and fill with jelly. 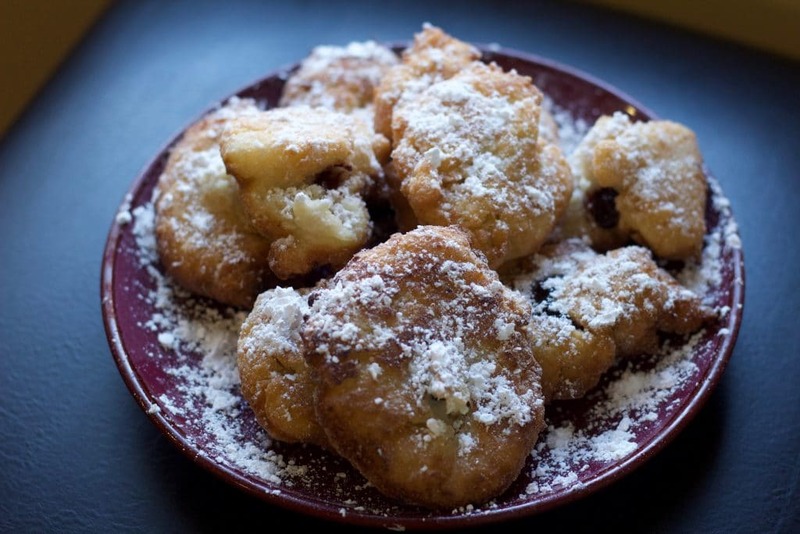 Dust finished donuts with powdered sugar. Eat promptly! Happy Hanukkah! Celebrate With These Amazing Gluten-Free Jelly Donuts!